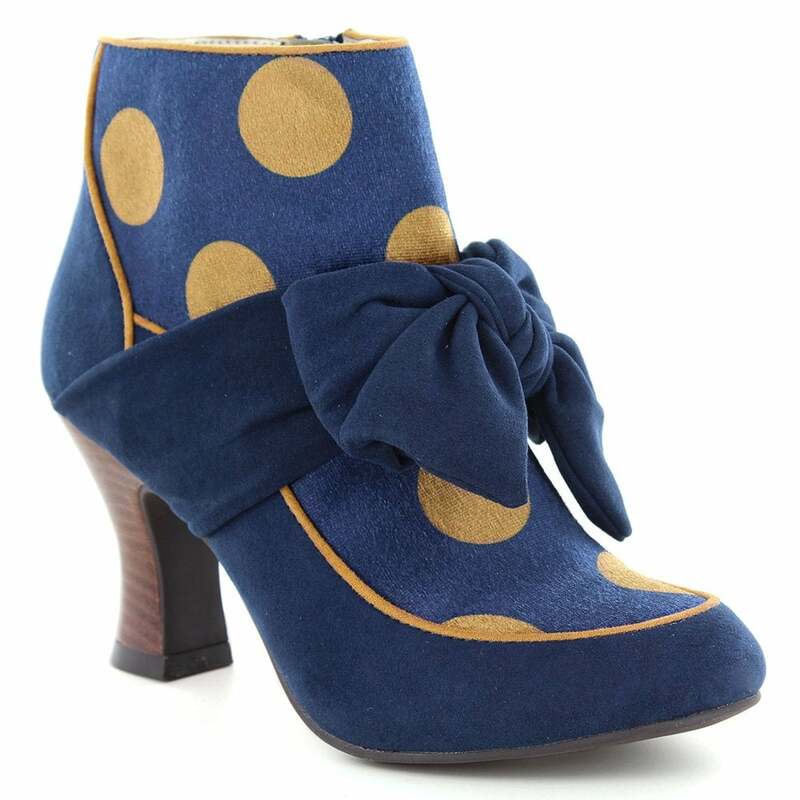 The Seren, a stylish and unique womens ankle boot is full of fun, featuring bold gold coloured polka dots and a quirky bouffant bow trim. Finishing the Seren boot is faux suede trimmed with gold colour contrasting piping. The Seren ankle boot carries the branding in an embossed gold stamp.